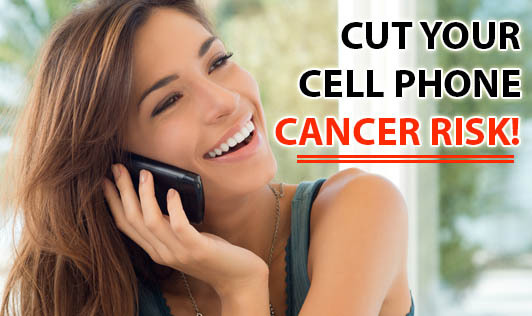 Cut your cell phone cancer risk! The World Health Organization (WHO) states that cell phones may cause cancer and it's quite upsetting to think that something that's become such a can't-live-without can be linked to brain cancer. But, there are many things that a phone addicted person can do to minimise health risks. By lowering your exposure to radiation, you will reduce the potential risks to cancer and other problems. • Make use of a headset: Headsets emit less radiation than cell phones. So, the farther away you are from the source of radiation, the less damage it can do (Environmental Working Group). • Don't use cell phones for a long period of time; keep calls as short as possible. • If you have trouble maintaining a connection, wait until you get better service because when your phone has low network, it has to work harder to connect, therefore emits more radiation. • Avoid making calls from cars and elevators as cell phones use more power to establish a connection in enclosed metal spaces. • Increase the distance between yourself and your cell phone. Even holding your handset marginally further away from your head helps the radiation levels drop off very quickly. • Switch sides regularly while communicating on your cell phone. • Invest in phone with lowest SAR possible (SAR= specific absorption rate, a measure of the strength of the magnetic field absorbed by the body). Keep yourself safe and avoid cancer risks by following these simple steps!